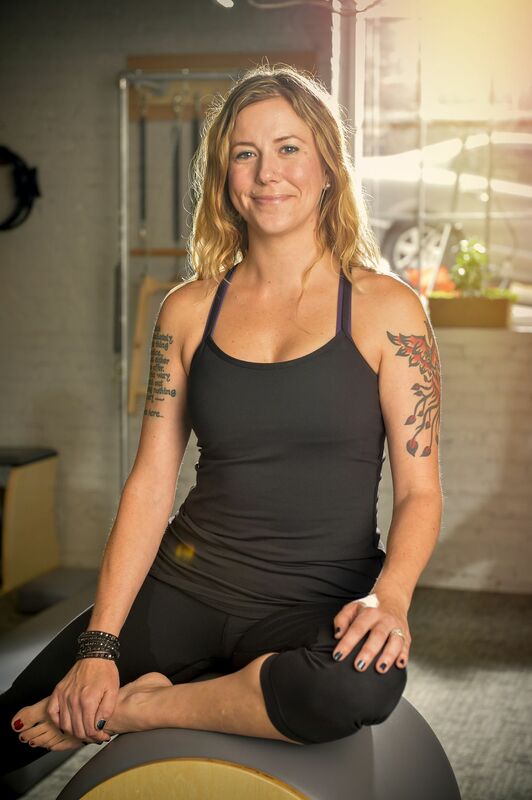 Meagan Koehler is the successful owner and founder of RISE: Authentic Pilates, an urban pilates studio in the heart of downtown Asheville, NC. She discovered Pilates in 2003 and was impressed by how it made her feel strong, empowered, and connected in mind and body. The transformative experience of the Pilates method led to her first 500+ hour comprehensive training with Kevin Bowen in 2010. Desiring further education, in 2012 Meagan successfully completed an additional 700+ hour Classical Pilates teacher certification program taught by second generation teacher, Penelope Wyer-Barrow. Following her Classical Pilates immersion, Meagan was honored to be hand-selected to receive continuing advanced teacher training and personal mentorship from Pilates extraordinaire Kathryn Ross Nash, who studied directly with first generation Pilates elders Romana Kryzanowska, Jay Grimes, Kathy Grant, Edwina Fontaine, and Sari Meja Santos. Meagan has attended a variety of conferences and intimate workshops all over the Unites States learning from leading Classical Pilates instructions including, Jay Grimes, Brooke Siler, Mari Winsor, Chris Robinson, Blossom Leilani Crawford, Sandy Shimoda, Dana Santi, and Mejo Wiggin. 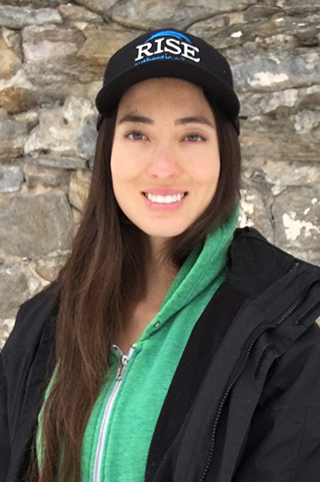 With many diverse years of teaching beginner to advanced students, Meagan is a gifted and skilled hands-on instructor. Her commitment and dedication are evident when you walk into the studio. It is a bright and airy space filled with good humor which is indicative of her style and approach to instructing. You’ll find clients working on different classical apparatus including, the cadillac, reformer, wall units/tower, wunda chair, and mat. Classes range from foundational to advanced levels, but there’s no delineation in the sense of camaraderie between students and staff. It’s a very egalitarian experience. And because Pilates is a method that requires building blocks, even the most advanced students may be seen in a foundational level class working on the same method and exercises as newer students. Meagan’s warmth and compassion can be felt from the moment you walk in, to the moment you leave, feeling stronger and more present in your body. Since opening RISE in 2015, the studio has been voted by the community as the #1 Best Pilates Studio in all of Western North Carolina in 2015, 2016, 2017, and 2018! Meagan has been recognized as one of the Best Physical Trainers in Western North Carolina 2013, 2014, 2015, 2016, 2017 and 2108 by Asheville’s Mountain Xpress Best of WNC. A lifelong runner and hiker who has always been passionate about fitness, Elise began to devote more time to Pilates after she and her husband retired to Asheville in 2011. Pilates work eventually led her to enter the Classical Pilates Certification program with Penelope Wyer-Barrow in 2013 and complete her certification in 2014. During her apprenticeship she started a Pilates program tailored to seniors which continues to thrive. While she enjoys working with clients at all levels, she especially enjoys working with people who are new to Pilates because “I love seeing the breakthroughs that people make in their bodies.” Elise has continued to refine her Pilates through workshops with some of the foremost practitioners today: Kathi Ross Nash, Chris Robinson, Mari Winsor, and Brooke Siler. As a former corporate training and development professional, she believes that continuing education is critical to helping her better serve her clients. 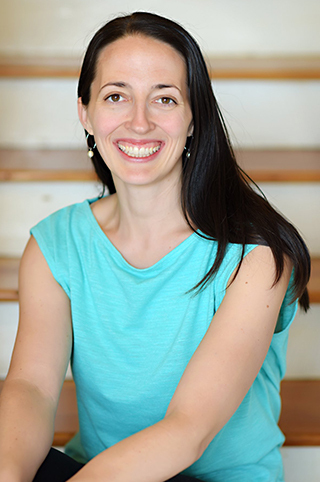 In addition to teaching at RISE Pilates, Elise is on the Health and Wellness Committee at the Osher Lifelong Learning Institute at UNCA, where she also teaches Pilates. For fun, Elise and her husband enjoy hiking, travel, and exploring Asheville’s culinary scene. Erin developed a healthy obsession with the Authentic Method after Pilates quickly started to heal her old dancer injuries that had plagued her for years. As a massage therapist, she knew this incredible form of body conditioning was anatomically balanced, safe, and effective. A few months later, she enrolled in the Authentic Teacher Training Program with 2nd Generation Instructor, Penelope Wyer-Barrow, which she completed in September of 2014. Since delving into the method, she has had the pleasure of attending advanced training workshops with some of the best in the industry: Kathi Ross-Nash, Brooke Siler, Mari Winsor, MeJo Wiggin, Jay Grimes, Chris Robinson, Murat Berkin, Dana Santi, Blossom Leilani Crawford, and Jon Owen. Additionally, she continuously receives training and mentoring from Meagan Koehler, owner of RISE Authentic Pilates. Carolyn discovered Pilates in 1999, as an injured dance major in college. She was humbled by the difficulty of the work and impressed at the physical strength and energy of her instructor- a petite woman in her 60’s who was easily stronger than a room full of college-aged dancers. At the recommendation of the instructor, Carolyn had a private session and was instantly intrigued by the Pilates apparatus. She quickly realized that Pilates was something special. In 2004, Carolyn completed her 1,000-hour Massage Therapy and Hydrotherapy degree at the Finger Lakes School of Massage in Ithaca, NY, beginning her bodywork practice. Shortly after the birth of her first son, Carolyn resumed a consistent Pilates practice and began her Pilates apprenticeship in Asheville with Brooke Tyler, where her training took her to Seattle to study and certify with second-generation instructor, Dorothee Vandewalle. Carolyn completed her 1,000+ hour Authentic Pilates training in the spring of 2011. Carolyn is devoted to deepening her knowledge of the Pilates method. 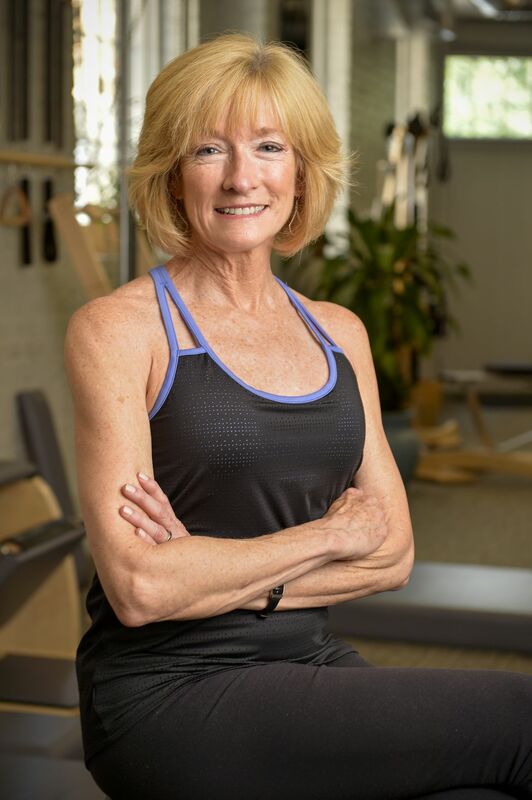 Toward that end, she has attended continuing education seminars with some of the the most respected Classical Pilates instructors in the world including Kathi Ross Nash, MeJo Wiggin, Mari Winsor, Brooke Siler, Chris Robinson, Blossom Leilani Crawford, and many others. Elizabeth was introduced to Pilates through dance. Assured it would improve her technique and alignment, she quickly learned that Pilates also cultivated a stronger, efficient, and more integrated body. “It can be as rigorous as it can be therapeutic. It has made me a stronger, more precise dancer, and has helped me prevent injuries. Pilates has impacted and improved my day-to-day life.” It is thanks to this life-changing experience that Elizabeth is an avid Pilates practitioner who wants to help clients begin or continue their Pilates practice. Elizabeth is a Classically and Authentically trained Pilates Instructor. Her dance training is in modern release technique, Limón, and Ballet. 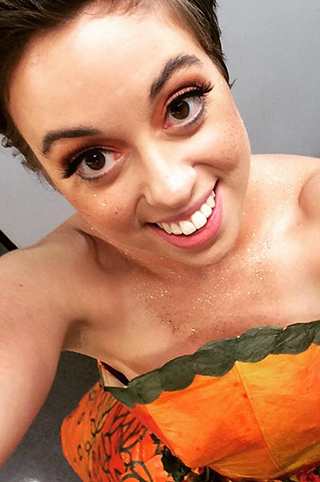 Elizabeth studied dance, education, and Pilates at Appalachian State University. She received her Pilates certification from Penelope Barrow (2nd generation Pilates instructor) and attended Pilates workshops from Mejo Wiggins. Elizabeth continues to develop her dance training by attending release technique workshops at LaCantera in Mexico City, Mexico. In addition to Pilates, she teaches dance technique, improvisational dance, and somatic dance. Deanna discovered Pilates in 1996 while looking for something to support her running, cycling, hiking and rock climbing activities, then later found it to be the springboard into healing a fractured knee and lumbar disc herniations. After spending the first act in her professional life flying a desk while practicing law and working in the non-profit sector, in 2002 Deanna stepped into a new life phase: teaching movement. She received her foundation training in Pilates in Boulder, Colorado, completing a year-long study and four-year apprenticeship with Lara Kolesar, a kinesthetic savant who trained with Steve Giordano, a protégé of Romana Kryzanowska. Since that time she’s eagerly sought out teachers from whom she could deepen her knowledge of Classical Pilates, including Colleen Glenn, Richard Rossiter, Wendy LeBlanc Arbuckle, and Penelope Wyer-Barrow. Recently, she spent an inspiring year studying with Kathi Ross-Nash in New York City and received an Advanced Teacher Training certification. She is delighted to share the Pilates gifts she’s received over the years with her clients. In addition to teaching Pilates, Deanna is very excited to offer the GYROTONIC EXPANSION SYSTEM® to our clients at RISE! 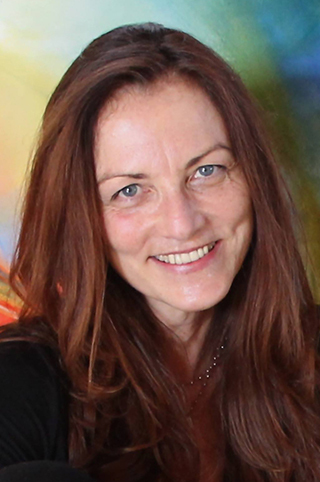 She is a Level One certified instructor in both GYROTONIC® and GYROKINESIS® and has studied with Sebastian Plettenberg, Jurgen Baumgartner, Clyde Rae Jolie-Ashe and Adrianna Thompson. Deanna loves how the two systems compliment each other: Pilates reinforces the foundation of core strength and focus, and GYROTONIC® exercises increase the body’s ability to integrate movement and to find its fluidity and expansion, hence the name. The system focuses on all of the waving, spiraling, bending, and arching movements that make our spines happy and the whole body healthy and resilient. Deanna will be teaching group and private GYROKINESIS® classes and privates and duets on the GYROTONIC® Ultima Pulley Tower. * GYROTONIC®, GYROTONIC EXPANSION SYSTEM® and GYROKINESIS® are registered trademarks of Gyrotonic Sales Corp and are used with their permission. Originally from Southern California, Mae recently relocated to Asheville, NC. Growing up active- Mae has always had an affinity for nature and the outdoors- whether its hiking, camping, rock climbing, or surfing; if its outdoors, she’s doing it! Mae‘s passion for working with the body began with yoga. After a brief introduction to studio yoga in San Diego, CA, Mae’s yearning for a deeper understanding brought her to Southern India- where she lived in an ashram located in the foothills of the Velliangiri Mountains. Initially there for an intensive six month residential classical hatha yoga teacher training, she decided to continue her study of yoga by teaching throughout India and various countries in Europe, the Middle East, and Asia. After three years Mae decided to come back to the states to be closer to family and to share her transformative experience with others through teaching yoga. And yet, during her time teaching, it became very apparent that the majority of people were in need of more strength, balance, stability, and/or flexibility to better prepare themselves for intense yoga, and for daily life in general! Prior to her adventures in India, Mae had been introduced to Pilates, and was amazed by the balance, strength, and flexibility it gave her. To this day she finds that it strongly compliments her yoga practices and is always amazed by seeing the impact it has on every-body! Whether transmitted as a form of exercise or rehabilitation- Pilates has proven to be a system undeniably effective for every individual- this realization is where the true clarity and desire to become a Pilates Instructor was born. 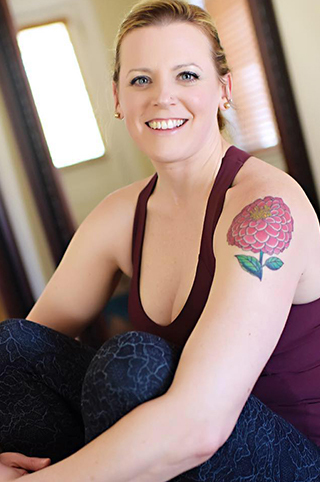 Warmly welcoming people from all walks of life, she strongly believes that the versatile practice of yoga and Pilates can transform anyone’s life, as it has her own. She looks forward to interacting with each client and creating individually tailored movement practices that will guide them towards a sense of simultaneous ease, strength, balance, and awareness. Mae teaches with enthusiasm and has a strong passion to help others develop optimal health and vitality in their lives. Mae loves going for hikes with her sweet pup Kaia and charming partner Eric, camping adventures, appreciating art, and dark chocolate!